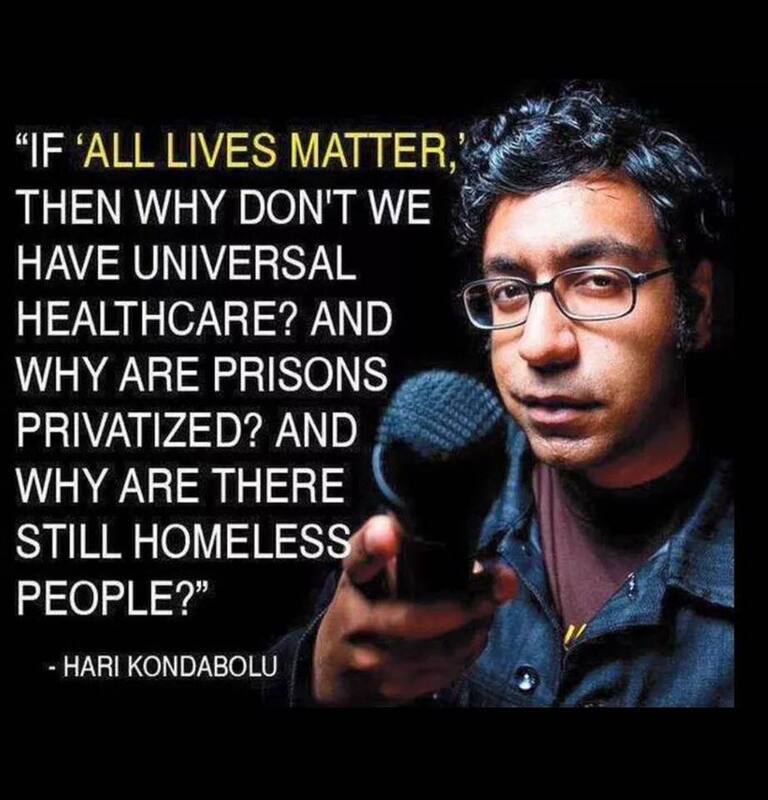 If "all lives matter", then why don't we have universal healthcare? The phrase "all lives matter" is to say that violence against any peaceful person (regardless of ethnicity, age, gender, etc) is never justified. That's irrespective of healthcare, prisons or being homeless. why don't we have universal healthcare? Since the 1960s, healthcare has ceased to be a service provided by a market. There's little if any competition, price transparency, comparison shopping, etc. There are many reasons for this, chief among them is that the industry is extremely regulated. As a result, it's extremely expensive. So expensive that most people cannot afford it on their own, and must rely on third party insurance. Consider that >90% of US adults have a cell phone and 87% use the Internet. How did that happen? Cell phones are so cheap that anyone who wants one can get one. This happened because the government (for the most part) did not interfere with the development and distribution of cell phones. Additionally, governments can't overturn economic laws. There's only so many resources available, including medical resources and doctors. Simply waving the magic wand of passing a (political) law doesn't suddenly make it so there are enough doctors and medical resources for every single possible medical need. The only way we know that happens is through a market process. * Surgery Center of Oklahoma They list the prices of all of their services online. * AtlasMD, direct primary care practice You pay a flat monthly fee and you get 24/7 access to your doctor. I recommend the book Primal Prescription: Surviving the 'Sick Care' Sinkhole. Governments do not fully privatize services such as prisons. They purchase contracts from private firms to provide the services which have grown too costly for them to produce themselves. This is unfortunately called privatization by most policy makers and many academics. I can only guess that this is an attempt to poison the well for the idea of privatization, or simply because they are repeating what someone else said and don't bother to actually consider the distinction. why are there still homeless people? One reason is that people make poor choices and do not prepare adequately. This combined with government policy, results in homelessness. Consider the US government's initiative for the past several decades to "make homes more affordable". The effect of their attempts to make homes more affordable is to make them more expensive. During an economic downturn, it's believed that a proper role of government to is stimulate the economy back into health. This has been a standard practice for almost a century in the United States and is practiced world wide. There's another school of thought which proposes that the government should instead do nothing and permit the recession to correct on its own. Many people have a difficult time understanding why or how it could be better for the government to do nothing (especially politicians). If a person is unhealthy and needs medical attention, doing nothing can be fatal. Action, even incorrect action, is given preference over inaction. 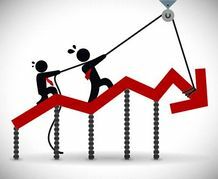 Yet as I'll demonstrate shortly, in the case of economic growth, the "do anything" attitude not only fails to correct the original cause of the downturn, it actually results in worsening conditions. Consider that you're traveling in a car, driving south to visit family. You pull off of the highway into an unfamiliar area to refuel. In the process of getting back onto the highway, you end up heading back north instead of going south. Is it better for you to discover this mistake sooner or later? The later you realize the mistake, the more time and fuel you will have wasted going in the wrong direction. You might not even make it to visit your family. Consider that at some point in your journey, you start to realize your mistake. You begin to slow your vehicle down to either stop to review the map, or to turn around completely. Now imagine that someone in the back seat of your car starts yelling at you to speed up. They tell you that you are headed in the right direction, and if you slow down you won't make it in time. Should the person in the back seat keep quiet and "do nothing", allowing the driver to correct the mistake, or, should the person try to pressure the driver to continue driving in the wrong direction? This is the effect of economic stimulus. Downturns or recessions happen for reasons: because of bad choices made on a large scale. Stimulus doesn't correct those choices, it enables them. Policymakers are more than happy to oblige, since it grants them greater power over the economy. Economists are also more than happy to propose stimulus too, because it gets them positions as advisors to policymakers. The proper action for the government in the event of a recession is not just to do nothing, but to permit the correction to take place as quickly as possible. Stimulus does not achieve that end. Article review: "What Americans don't understand about Nordic countries"
I'm curious why the author left Finland and became a US citizen. He must have felt the US was a better deal in some respect, but exactly what is not made evident. Why would the author give up so many "free services" paid (paid + free in the same context is weird, isn't it?) for by taxes in exchange for what's available in the US, which is implied to be inferior? Are the Nordic countries (Denmark, Finland, Sweden, Norway and Iceland) succeeding because of their welfare systems, or succeeding despite them? The article seems to just take it for granted that these countries are succeeding because of these systems and policies. As mentioned in the article, these countries are actually very favorable to businesses. In fact, for most metrics, they are even more favorable than in the United States. Regarding corporate taxes, investment, property and other metrics, all of the countries except Iceland consistently rank higher than the United States. Despite being more favorable to businesses, these countries are not especially very prosperous. 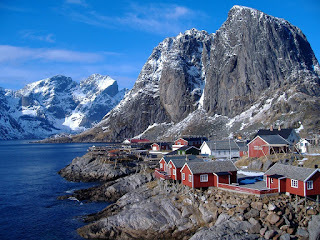 Denmark, for example, if it were one of the states, would rank about 10th among the poorest states for per capita GDP. Finland would be approximately 5th, and Sweden 7th. It also is the case that the peoples of DFSNI have lower gross and disposable incomes. They earn less money before and after taxes. These countries also rank higher in terms of suicide rates as well, compared to the US. Then there are countries like Switzerland, which is just on the south side of Germany. Denmark sits on the north side. Yet, Switzerland ranks higher on the economic freedom index than the US and all of DFSNI. It also has fewer people below the poverty line than the US and DFSNI. Why isn't Switzerland being held up as an example? Perhaps because smaller government doesn't generally serve the self-interests of politicians? From the article: "In fact, as capitalist economies the Nordic countries have proven that capitalism works better when it’s accompanied by smart, universal social policies that are in everyone’s self-interest." The key phrase "works better" is not really hashed out or defined, so I am left wondering: for whom and compared to what? Is the author claiming that higher taxes are better for society and that higher taxes can reduce poverty? The Nordic welfare systems weren't really established until the 1980's. Less than 40 years and already the verdict is ready? What did these countries look like before the 1980's? They grew rapidly and became very rich. Then government expanded, and their growth slowed. We don't know what the countries would otherwise look like if they hadn't expanded their governments, but the implication is that various things would be be worse rather than improved. Why is that assumed? Naturally, in the wake of another massacre, this time at an elementary school, calls for increased gun control are ringing loud. 20 of the victims in this shooting were children. As a father myself, the horror of the experiencing the merciless killing of my child is too unbearable to even imagine. That said, I'd like to offer some perspective in this tragic time. Over the last 10 years, approximately 194 individual have perished as a result of mass shootings in the US. Compare that to the fact that 100 people per day die in car crashes, and 2640 per year from house fires. How many people are killed by police each year in the US? We don't know, because it seems no one actually tracks this information, which is rather curious. Someone did collect data from news stories around the internet in 2011. In 2011, according to data I have collected, police officers in the United States shot 1,146 people, killing 607. About 20 people die each year in mass shootings, as noted above. You are 30 times more likely to be shot and killed by an agent of the state than you are by sociopath on a rampage. But I repeat myself. A common misunderstanding amongst new bitcoin users is that their bitcoins actually reside on their computer. In order to understand where bitcoins actually reside, it is necessary to grasp three concepts: a ledger, private key encryption and bitcoin addresses. A ledger is just a book of transactions. A transaction log. The book has pages, and each row on the page describes the date, source, destination and amount transferred. Auxiliary columns may be present, but aren't the focus of this article. The bitcoin system relies on a global, public ledger called the blockchain. In a sense, a ledger is a chain of pages, each page appearing sequentially. Likewise, the blockchain is composed of pages, or blocks. Each page in a ledger will generally have the same number of transactions, precisely because the number of rows that fits on a page is fixed. This is not the case with a block. Any number of transactions may appear in a block. The blockchain represents the entire history of bitcoin transactions. The first block is known as the genesis block. New pages are added to the bitcoin ledger approximately every 10 minutes. The process by which pages are added is a collective problem solving endeavour. The group or individual which solves the problem is then awarded 25 bitcoins (an amount which decreases over time). The details of this process are particularly complicated, let's address that another day. If you possess any bitcoins now, you could determine the page in which they came into existence by looking at the blockchain. Private key encryption is a mouthful to say, especially if you've never heard of it before. There's a good chance you have created an account on some site somewhere. Generally the process is the same: choose a username and a password. Sometimes you can use your email address as your username. If so, then understanding private key encryption really isn't that big of a leap. Just as you have a username and password, you have a public key and a private key. A difference is that the public key can be computed from the private key. Exactly how this occurs (it's mathematically complex) isn't important, but just worth understanding that the two are related to each other. You cannot however generate a private key from a public key. This is what allows you to share your public key. If you used this as a password, it would be a fairly strong one, but a bit difficult to remember. If we convert the above private key into a public key, what does that look like? This public key representation is actually a bitcoin address. When you want to send bitcoins to someone, they must provide you with a bitcoin address. If you want to receive bitcoins, you'll need one as well. Acquiring one is not difficult. The bitcoin client you are using should have a means for generating one. If you are using an online wallet, it will have that functionality built into it. Suppose you send 5 bitcoins to the following bitcoin address / public key: 1LpiMNtNR18UEJNBxCZx3p32tAkWsAGuPJ. What happens? Once the transaction is verified and a page is generated, the blockchain (the global public ledger) now associates those 5 bitcoins with the above address. The only way to access those bitcoins is with the equivalent private key. Without the private key, there is no way to access the coins. When the coins are sent to the address above, the transaction is signed using your private key. The bitcoin network will only verify such transactions that are properly signed by the correct private key. The signing process releases the association the coins have with your private key. After being released, they are then assigned to the new address, the address you are sending to. As a result of the above, bitcoins do not exist on your computer. Rather, what exists are public and private keys. Technically speaking, even they don't need to exist. A private key can be written down on a piece of paper, and the public key generated from it without ever touching a computer or a network. Coins can then be sent to that public key. When you're ready, you can import the private key into the bitcoin client you are using and reassign the coins to another address. A variety of tools exist online for generating "offline" bitcoin addresses, I'll cover those in a later post. For now, try out the site below. To actually get your hands dirty with bitcoin public and private keys, visit this site: https://bitcointools.appspot.com. Also refer to this article.